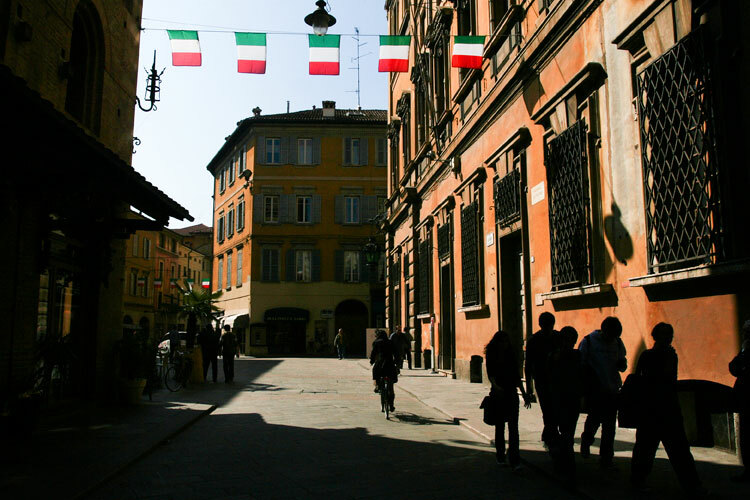 On October 22nd, I traveled to Reggio Emilia with 67 other educators. We had a common focus. We were to visit the schools of this celebrated Italian early childhood program, dialogue with their educational staff and then meet among ourselves to see if we could make significant and enlightening literacy connections between their educational program and current instructional trends in our own schools back homes. I was driven by a more specific question; one that has been puzzling me for the past few years. How is literacy interpreted in American schools? How is literacy interpreted and supported in the schools in Reggio Emilia? Although this was my third trip to Reggio Emilia, it was the first time that I approached my visit to their schools with such a pointed focus. For some time now, I’ve been noticing that literacy, in New York City elementary schools, is defined as something that can be framed within a “literacy block” , a specific part of the day when reading, writing and phonics are taught. I wonder if it possible for literacy to encompass a more expansive meaning? How might an artist define literacy? A scientist? A musician? A mathematician? In the pre-schools and the new elementary school in Reggio Emilia I observed exciting examples of a much more expansive interpretation of literacy. Here is one example of what I mean. A group of four-year-old children had expressed an interest in a flowering Jasmine plant that was in the classroom. After carefully listening to the children’s comments and questions about the plant, the teacher provided opportunities for the children to begin an exploration of perfumes. When they talked to each other, the children seemed to be making references to their mothers and to the perfumes that they used. To follow up on this talk, the teacher set up an appealing display of herbs, spices, fruit peels, and other aromatic artifacts on the art table along with graters, peelers, mortar and pestles, paper, colored pencils, pens, markers, watercolors and other tools. As they explored these materials, the children created symbols for writing perfume recipes, making connections to the smells that came from food being prepared in the school kitchen. They experimented with various ways of extracting smells from plants, discussing the variety of smells that they associate with plants and animals, and creating aesthetically pleasing artistic arrangements of plants and herbs. As this was taking place, the teacher was documenting their animated conversations by drawing her own sketches, taking photographs, and notating bits of dialogue. Periodically, she asked questions and made observations to scaffold their explorations. In the elementary school, the seven year olds were analyzing words in a way that would put a smile on Diane Snowball’s face. There were snails in the school garden and this sparked an interest in writing about them for some of the children. However, they were having difficulty in figuring out how to spell the Italian word for snail – chiocciola. Rather than proceeding with a spelling lesson or strategy lesson, the teacher provided different types of paper, pencils, crayons and markers. She invited the children to draw a representation of a snail. She then asked them to hypothesize on how the word would be written. The children compared their different spellings of the word and decided that it must be a spelling with many letters. To support their investigations, she gave them strips of paper divided into 10 boxes and asked if they could fit the letters of the word into the boxes. They continued their exploration by looking for words within words that might have a connection to the word chiocciola. They made lists of words that had some connection to the word ‘snail’, all the while discussing the meaning of the word snail and the many ways that the word could be used. In this simple spelling exploration the children were using drawing, discussions, personal connections to prior experiences and even mathematical thinking to come up with “a meaningful personal vision” for the word chiocciola. They were working together to make meaning of the word and of the spelling of the word. There were boxes provided for analyzing the spelling but the children’s thinking was not slotted into a time-box. The value that is placed on collaboration, analysis, experimentation, wondering, discourse, and the generally lovely messiness of learning is what so touched my teacher’s heart as I spent time in Reggio Emilia. It bothers me when I visit schools back home and see kindergarten children” days divided into little boxes, like the kindergarten schedule shown below, filled with activities that drain away the natural curiosities that they brought with them when they first arrived in school. Perhaps my search for a greater interpretation of literacy is misguided. Perhaps what I really want is for our schools, like the schools that I saw in Reggio Emilia, to demonstrate more faith and belief in our children. I would like children to have more opportunities to savor their learning and not to be pushed and rushed up a ladder. I would like children to have the opportunity to deeply explore topics that interest them and to be free to explore these topics as artists, scientists, musicians, athletes …basically using whatever part of the hundred or more languages that speak to them and that they speak in. I also want teachers to have the same opportunities to grow professionally that are given to the teachers in Reggio Emilia – opportunities for professional collaboration and consultation, time to observe children and, with colleagues, to use these observations and documentation to analyze students work and to plan provocative, engaging and appropriate curriculum that is truly based on what children know, need to know and want to know. This entry was posted in Investigating Choice Time: Inquiry, Exploration, and Play and tagged Diane Snowball, literacy block, Paul Lockhart, Philip Lasser, Simon Dinnerstein on November 27, 2012 by Renee. Thanks for the great post. Defining literacy is something that I think about a lot. You write, “When I approached my husband Simon Dinnerstein and asked him how he, as an artist, thinks of literacy, his response was that literacy ‘would imply the ability to converse about … tone, color value, materials, emotions, expressions, forms, composition, content, …, painting, drawing, …abstraction…and obsession.’ For Simon, a high degree of literacy would ‘consist of backing up ideas with a cogent argument as well as historic and contemporary examples. A super high mode would transform all of these modes into a meaningful personal vision. '” This is lovely. It looks like you had a rewarding trip! I love the description of the students in Italy in all of their curiosity and wonder!! It takes me back to the days when my kids were little and they would watch a ladybug for what seemed like hours. This also makes me want to teach in a school like Reggio!! WOW! I still lament that I was not able to make this trip!! College tuition be damned! And now I imagine if Common Core people took the time to “define” literacy as you do here then perhaps we would see something different in that document. What is literacy anyway? And finally…as the glass half full girl…I will say that at least in that kindergarten schedule we see reading and writing workshops…although my thinking is that this seems more like a schedule for 2nd or 3rd grade!! Where has all the wonder gone and what must it be like to be 5 these days? Thanks Tomasen. Many times during the trip, I told Matt that I wished you were there. 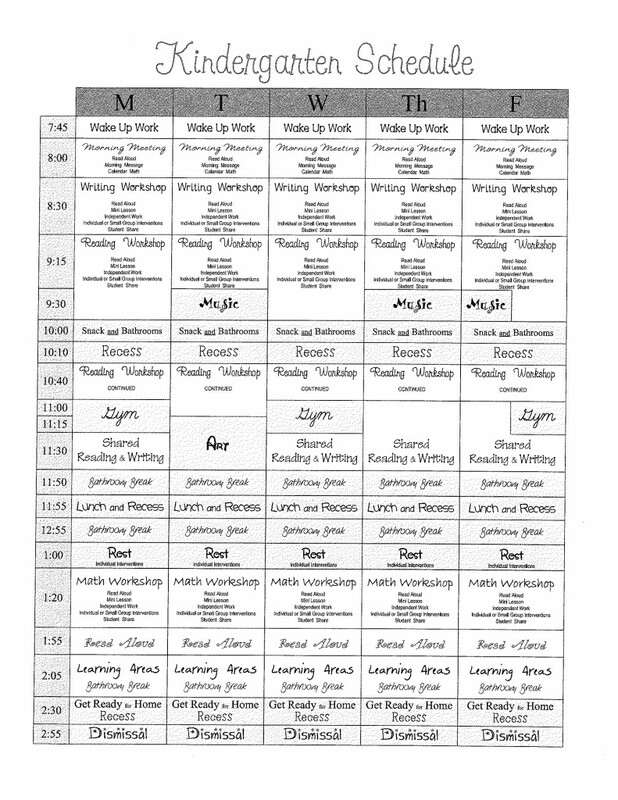 As to the reading and writing workshops…look at when they take place during the day. I have a lot of difficulty with a kindergarten day that starts out with heavy-duty academics. It’s not the way that I would have wanted my own daugter to spend her day when she was 5. Actually, I didn’t send her to kindergarten for just that reason. She had so much joy and exploration in her nursery school and I didn’t want that to end. I kept her in the nursery school for an extra year. When they saw me do that, four others families decided to do the same. They all had a wonderful year! Any other trips to Reggio any time soon?